This form to be filled out ONLY BY the home owner and NOT the contractor. If you have an ordering account with DelphiTech, log into it first before proceeding, otherwise no account is needed. It is valid for fixtures sold after Jan 1, 2017 and applies to PRJX, PRJV, PRJT and PRJU lenticular fixtures only. Clearance fixtures do NOT qualify and have a 36 month warranty only. Fill out ONLY AFTER installation is complete; we recommend within first 30 days. Fixture warranties start when they ship from our factory upon placing an order. Extended warranty void unless done in first 12 months from shipping. DelphiTech may waive this at their sole discretion in particular circumstances. Do not use this form for system add-on registration, use the warranty add-on short form. Our Extended Warranty Offer: In exchange for 5-10 minutes of your time to answer 24 quick questions to help us with marketing information, eligible fixtures that have a 45000 hr(5 year) warranty unregistered, will be extended to 60,000, 80,000, or 90,000 hrs warranty with the completion of this registration depending on the Series of Fixtures you purchased and warranty will transfer to future home owners automatically. Note: If you bought your system from a contractor, ask them for their DelphiTech receipt number from purchasing your lights and power supply(s), and ask them to show you your power supply SER number(s) for your registration. 2. 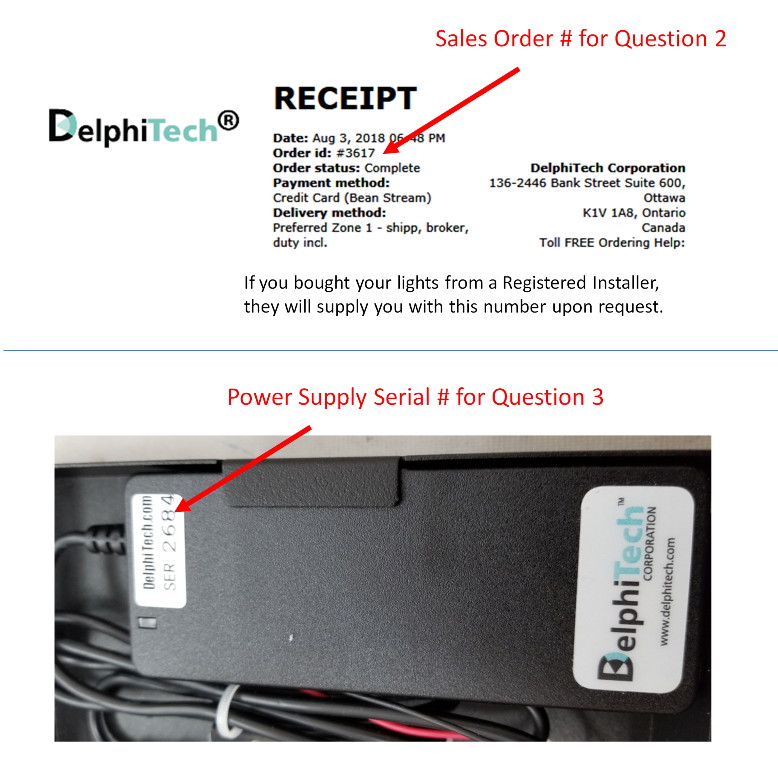 Please provide the sales order number from the purchase of your fixtures and power supplies from DelphiTech by you or by your contractor. Usually there is only one order prior to install. 3. Please provide the DelphiTech power supply SER number from inside our power panel (sticker is 0.5"x1.0"). Usually there is only one power supply for systems 20 lights and less. Gently pull cover out about 1" from bottom and then slide cover up so top tabs come out of the base and don't get bent. 9. The next two questions (Q9-10) are asking your reasons to be buying new lighting, and are NOT related to DelphiTech's product specifically. Questions Q11-Q12 will ask you about motivations specifically around DelphiTech's product. Access and security around outbuildings such as sheds, pool house, etc. 11. Questions Q11-Q12 will ask you about motivations specifically around DelphiTech's product. Other (describe) - example inside an outbuilding, pointed at outbuilding, etc. 20. 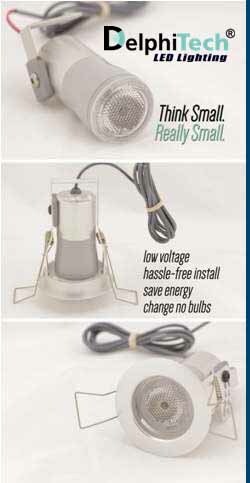 Do you plan to add more of our lighting to your property in the future? If so how many lights? 24. The above set of questions is all you need to do to register for the extended fully transferable warranty on your fixtures at your address. Optionally, if you want any of the following, please check all that apply. You are now ready to submit your survey if you've answered questions 1-24l.  If you have any questions before submitting, feel free to call us toll free at 1.888.335.4533.